A small interior design intervention by Philippe Starck in Madrid, which deserves special attention when it comes to lighting. The result is whimsical, casual and surprising. 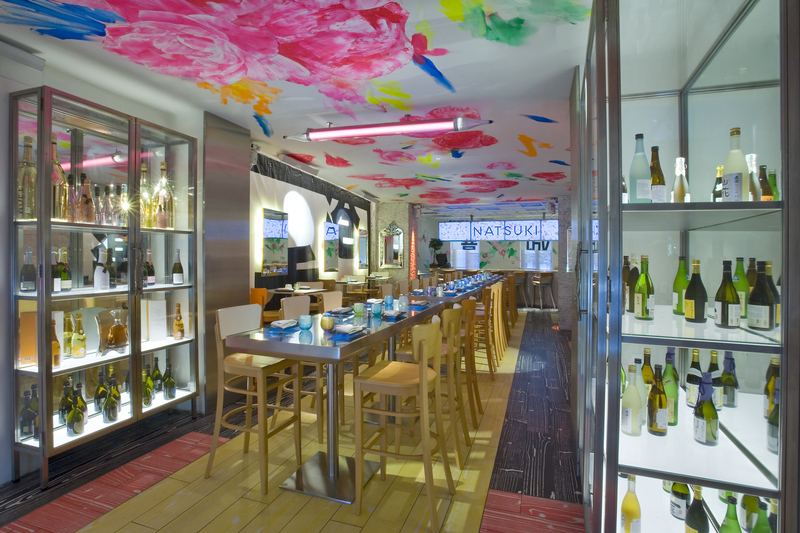 Ramses restaurant in Madrid was designed by Starck in 2008. 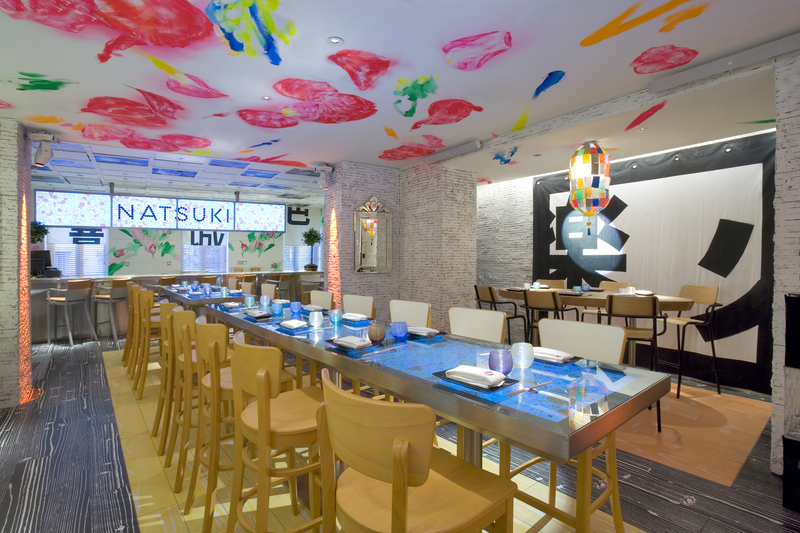 Jorge, the owner, wanted introduce innovative Japanese cuisine into the heart of Madrid by commissioned Starck to re-design the ground floor restaurant to this effect. The new interior translated into a mix of Japanese references with a futuristic twist: video screens, banners and graffiti elements in a 'white box' setting. The lighting design responded to the whimsical brief by emphasising the maximalism style of the new interior. 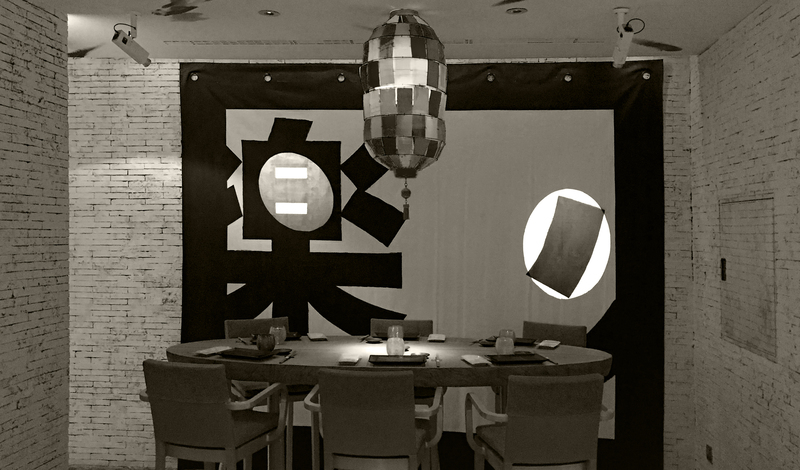 Sharp projections accent the banners and walls, whilst soft accents on the tables ensure that the diners can admire the beautiful dishes prepared by the kitchen. Dynamic lighting was also used to enhance the club atmosphere late at night: lasers and moving head projectors with colour lighting effects. 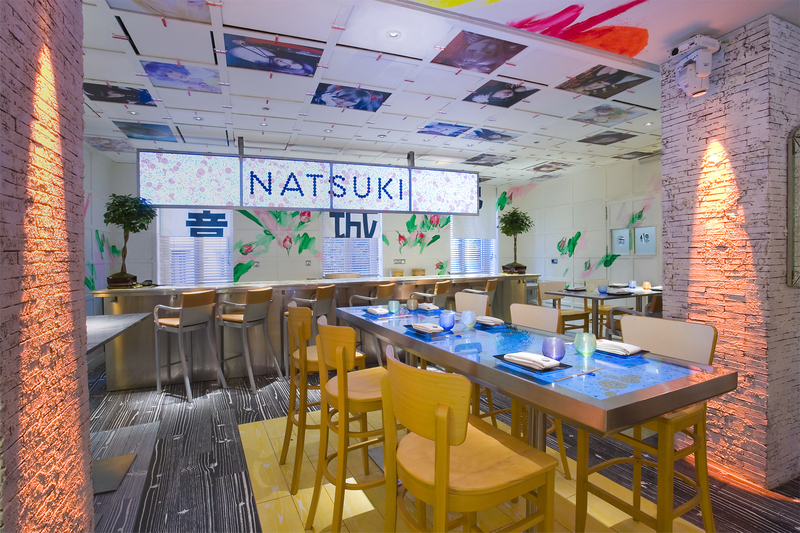 The result is quintessential Starck: a very dramatic and theatrical experience, where the food is as important as the wall finishes or the content of the video screens under the plates. Lighting, of course, is part of such kaleidoscopic experience.